everyone of us do travel everyday using public vehicles like jeepneys or buses. And we have different experiences that we could not forget, good or bad.. Share with us your experience to make us laugh out loud, don't be shy guys!!! yeah, bus is faster. 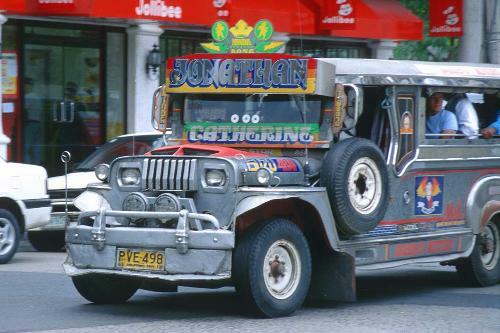 If you really are in a hurry, you better be riding a bus than a jeepney. But what's good with a jeepney is you could see the faces of all the passengers. But I rarely ride a bus, because I'm afraid of getting hold-up. of course in my everyday travel i always have an experienced riding on it,there were many and i can jot remember now the other experiences,but yesterday i had an experience where a guy had touch my boo*s secretly but i noticed it then i shout on him "why don't put your hand inside of my bra so that you can hold my whole boo*s".